EVERY DAY IS ARMS DAY. 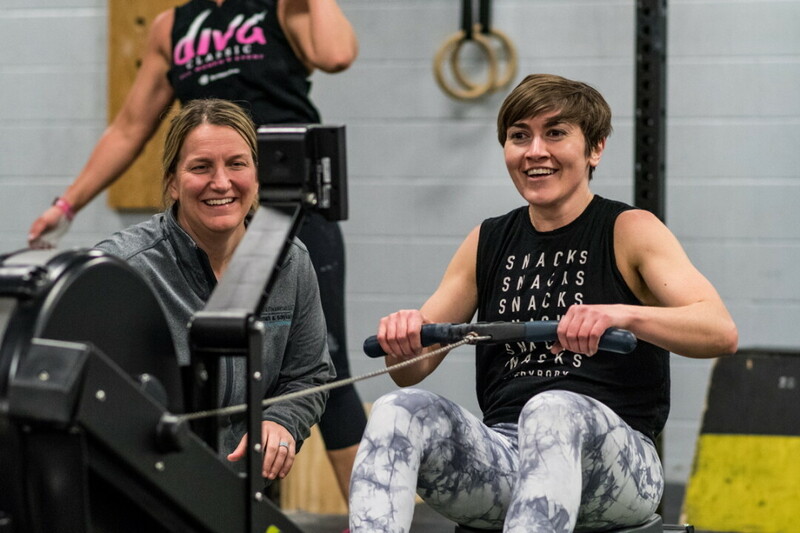 Members of Momentum Fitness in Eau Claire have been competiting in a Friday Night Lights event to raise money for kids at DeLong Middle School. The middle school years, by their very definition, are chock-full of awkwardness and uncontrollable or undesirable bodily changes. We’re talking voice cracks, parents driving us on dates, and trying to keep those tiny towels on our bodies while showering in gym class. Perhaps the most scarring memories might be our personal fashion statements: JNCOs, hemp necklaces, frosted tips, or today’s trend … Crocs with socks. There’s no debate: Middle school is awful for everyone. But some students have even more on their plates, particularly those coming from low-income backgrounds. As if these years aren’t hard enough, financial stress at home can cause these children all sorts of additional worry. That’s why one local business formed a partnership with DeLong Middle School to raise funds to bolster students’ wellness and success. Momentum Fitness, 2615 London Road, owned by Jackie Barstad and Jim Breuer, will donate proceeds from its ongoing Friday Night Lights event directly to the school. Before owning Momentum, Barstad spent 15 years working as a physical education teacher at DeLong. After all these years, she’s still got a soft spot for the school. And with more than 40 percent of the nearly 950 students coming from economically disadvantaged homes, there are plenty of reasons why Momentum chose to partner with DeLong. Barstad, along with head coach Rachel Preston, spent the last few months planning this year’s Friday Night Lights event. 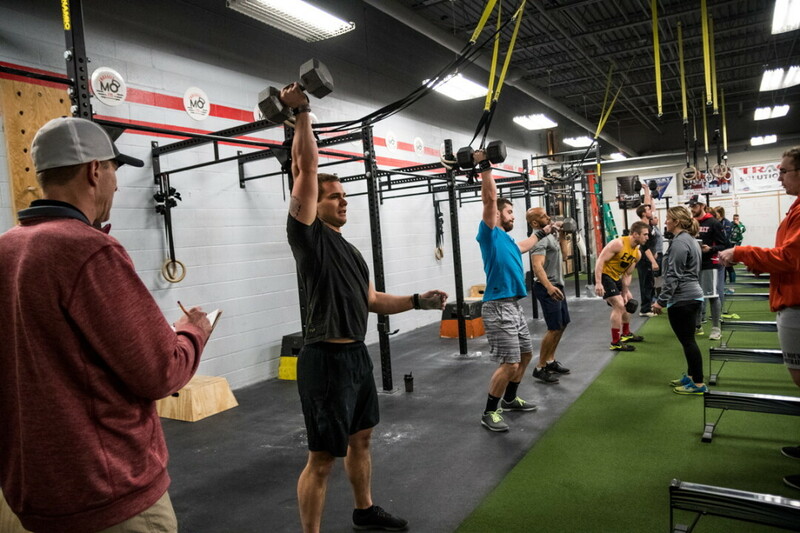 It’s the annual CrossFit competition – kind of like the NFL playoffs for CrossFitters. During the event, athletes compete in different weekly challenges. Workouts are released Thursday nights, and competitors have until Monday to complete them and submit their results. The event has been growing over the years, so the gym saw an opportunity. “We’d talked about how we could turn this event into a moneymaker for the gym and buy new equipment, but we all decided no way, this is too much fun and we wanna keep doing this, we wanna put our energy into going here (to DeLong) and do something positive for our community,” Barstad said. Athletes pay an entry fee, and donations are taken from sponsors. During the events, raffle tickets are sold, and roughly $500 worth of prizes are given away each night, including spa packages, massages, gym gear or equipment, and nutritional supplements. “All of our sponsors are members, basically,” Barstad said. “So we don’t really have to go very far to find support. The Eau Claire community is just awesome, and our members are rock stars.” She noted the similarities in the caring, cooperative atmospheres that she has experienced at both Momentum and DeLong. Proceeds will go towards DeLong’s Greatest Needs Fund, which supports students who need assistance in pursuing things such as mental health counseling, transportation, clothing, field trip costs, and personal care items. There are still three more opportunities for community members to show support at the Friday Night Lights event. March 9, 16, and 23 will be the final three competitions. If you’re lucky, you might even get to see DeLong staff members performing during a makeshift half-time show – and by “performing,” I mean being forced into some type of athletic challenge, such as a Tic-Tac-Toe game that requires sprinting and carrying heavy objects. Barstad agreed, but had a slightly different suggestion: “Bring your coolers … seriously. Alcohol. Non-alcohol. Whatever you want. It truly is like tailgating around here,” she laughed. Events begin at 5pm and last until all competitors have finished (roughly 8-10pm). So grab a friend, bring a cooler, and show your support for those hitting the weights as well as those fighting the good old prepubescent fight. With their Crocs with socks, fidget spinners, and bizarre dabbing gestures, heaven knows they need all the help they can get.